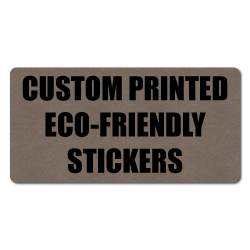 - Natural Kraft Material is earth friendly, because it does not use harsh chemicals to bleach the paper to a white color. 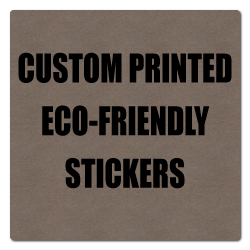 The paper fibers remain in their natural brown color. 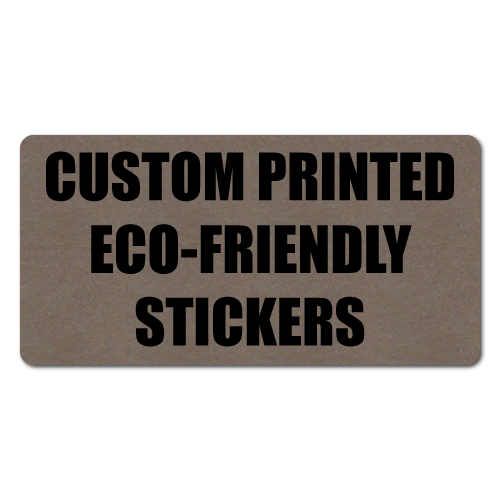 - Recycled White Semi Gloss Paper made with 30% Post-Consumer Waste. 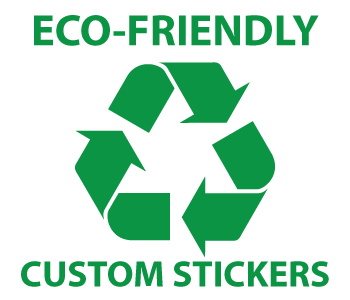 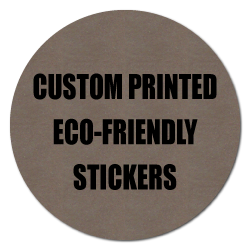 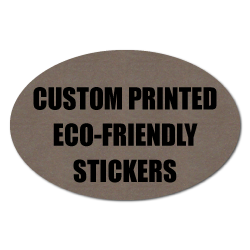 Sticker materials with Post Consumer Recycled content. 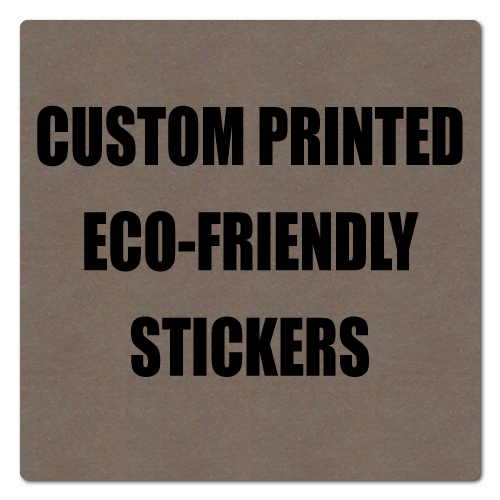 Water based inks that are Eco-Friendly, compared to solvent based inks. 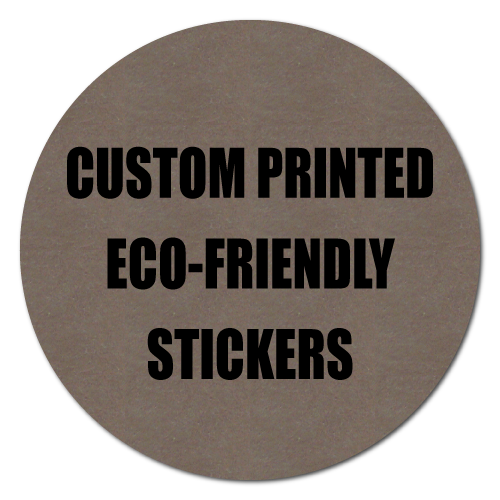 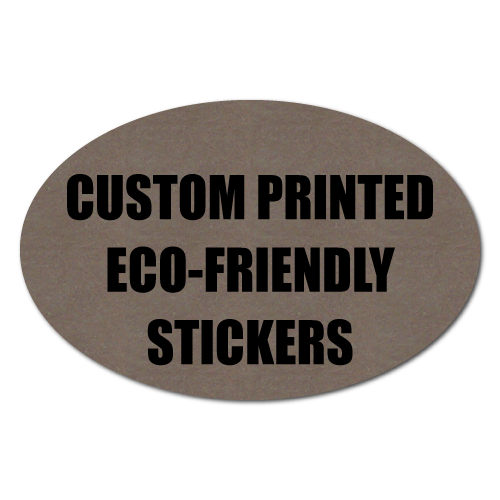 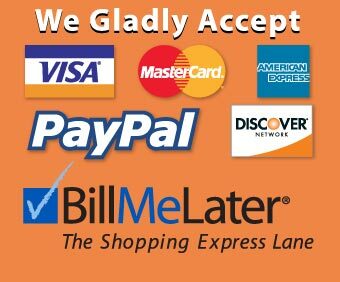 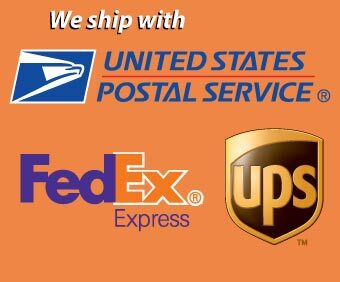 Sticker material, Adhesive and Liner paper are all recyclable.